Founded in 1999, Challenge Machine and Manufacturing, Inc. is a precision machining company and micro machine shop specializing in ultra-precision machining, CNC rapid prototyping, machining of exotic plastics, and more. As an ISO 9001-certified contract machine shop, Challenge Machine serves customers in a variety of industries, including semiconductors, medical, defense, automotive, and many others. With a newly-renovated facility and state-of-the-art CNC equipment, Challenge Machine is your source for short to production-run orders with some of the shortest lead times available in our industry. 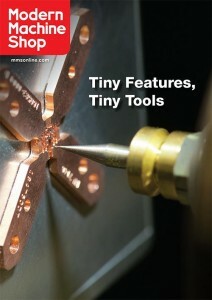 Read about us in Modern Machine Shop Magazine! Our extensive and innovative precision machining capabilities include CNC micro milling and turning of an array of materials, including difficult-to-machine plastics and a variety of metals, at tight tolerances. In addition to our micromachining services, we also offer engineering, CAD design, anodizing, nickel and gold plating, annealing, deburring, ultrasonic cleaning, assembly, and other secondary operation services. We even deliver manufacturability engineering services, which help customers improve speed and reduce costs while maintaining the highest levels of product quality. At Challenge Machine, we take pride in all of our work, and each of our projects receives the utmost levels of meticulous care from our highly-skilled staff. We provide excellent, responsive communication for all of our customers, and we have built a reputation in our industry for reliability and placing our customers’ needs above all else. Through a commitment to continuous improvement, lean manufacturing, and quality control, we create superior value for our customers while delivering quality results in every project and in every component we produce. We encourage you to visit our Careers page to learn about employment opportunities at Challenge Machine. Call us today at 763-231-8400 or contact us to learn more about Challenge Machine, our precision machining capabilities, and to discuss your next project with our courteous staff.